See scan - perfect condition. This is a nice and rare Bulgarian 1970 Volleyball World Championship pin with scarce enamel work. 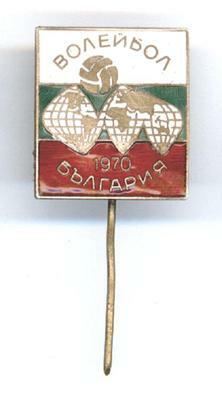 Nice and rare volleyball and sports memorabilia collector piece and one of the nice Bulgarian sports pins and badges.